Have you ever wanted to just reach into your computer and hand-pick the person or people you want to talk to? Or wanted to connect properly with a new site visitor? 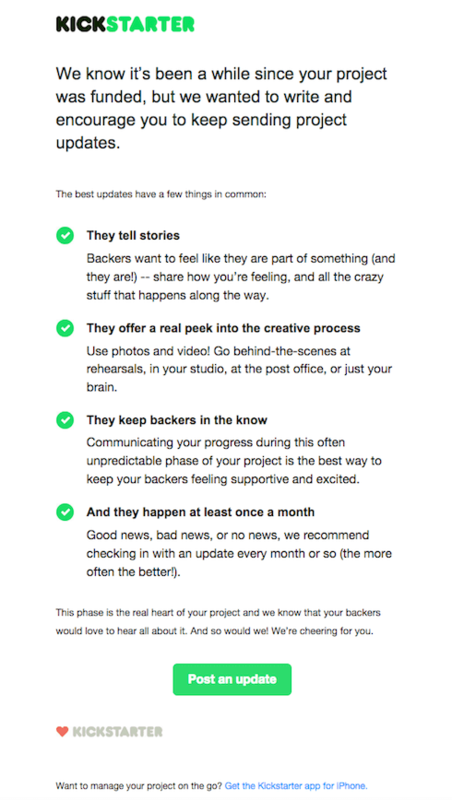 Good news: there’s a way to do it, and it’s not email marketing (But you’re very close). Email marketing is great. Targeted email marketing is better. Not so much. Targeted email marketing gets more personal than just general email marketing, and we’ll explain. Although many people are still proponents of mass email marketing or “blast emails,” these aren’t typically the best practice anymore. There is so much data available that, as marketers, we’d be crazy not to use it. The way that targeted email marketing works not only gets more personal, but it has more impact. Specifically, the way it works has more impact on your email ROI (and typically a positive impact at that). Targeted email marketing improves communication between you and your customers. And when you have good email communication, you have good email ROI. 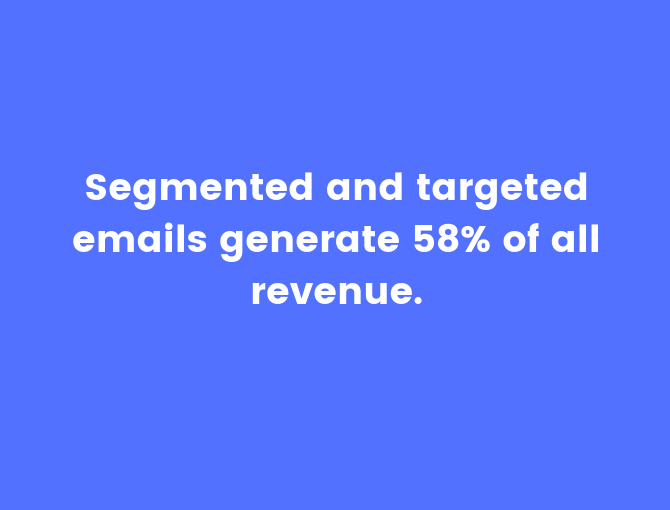 Guess what — Segmented and targeted emails generate 58 percent of all revenue. That’s more than half. What are you waiting for? Well, that’s what this next bit is for. You can’t get started with targeted email marketing without first knowing the what and why behind it. Targeted email marketing is sending the right emails to the right people based on a variety of data. It avoids what some refer to as the “spray-and-pray” method of email marketing by sending all emails to everyone and seeing what happens. Here’s why we recommend a more targeted approach. It seems easier to have all of your contacts in one place, on one list, so that you can reach everyone quickly and all at once. You’re right, that sounds easier. But it isn’t effective, and targeted email marketing is worth the work. (And honestly? It’s less work than you think when you’re in a platform like ActiveCampaign). Here’s why it’s not only worth the work, but why it’s important. Imagine if you were hosting a dinner party and you served just one dish. Now, some people might like everything that’s in it. Some might not like an ingredient, or have allergies and not go near it at all, and maybe they would even leave the party entirely. You do NOT want your guests to leave the party. 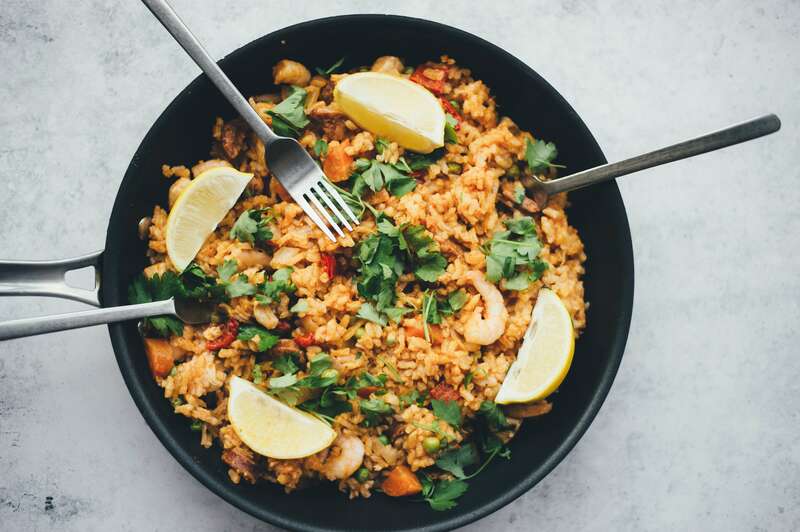 You want to offer a variety of dishes that keeps everyone happy and interested. Spicy and mild, hot and cold, sweet and savory. Everyone will want something a little different, and multiple people might want some of the same things. Targeted email marketing means keeping everyone happy (and, in the case of allergies, alive). When you create and send targeted emails, you’re including everyone at the party. You’re learning what they like and don’t like, and how to keep them coming back to all of your future dinner parties. Targeted email marketing lets you give everyone exactly what they want and need. And in return, it gives your email ROI exactly what it needs. Email ROI is the return on investment a business sees based on the results and calculation of email KPIs, or key performance indicators. Email marketing is one of the cheapest, easiest forms of customer communication you can do. Not only that, but it also tends to have a very positive impact on a business’ ROI. 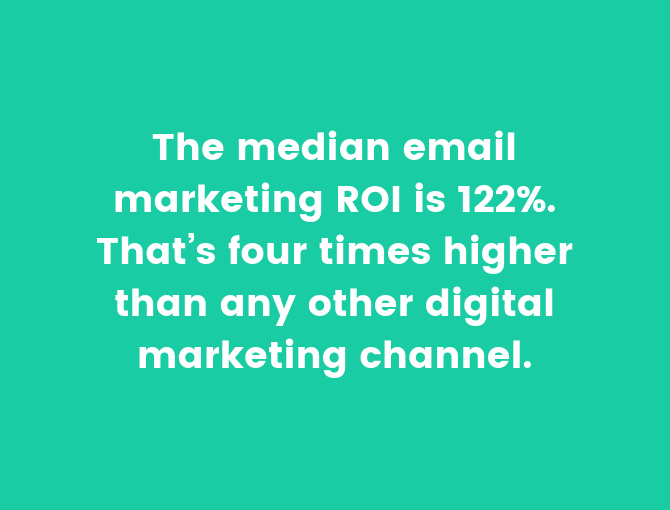 The median email marketing ROI is 122%. That’s four times higher than any other digital marketing channel. So it’s not surprising that businesses have called email the top generator of ROI for the last several years. Sending targeted emails over mass email blasts has a lot to do with this. 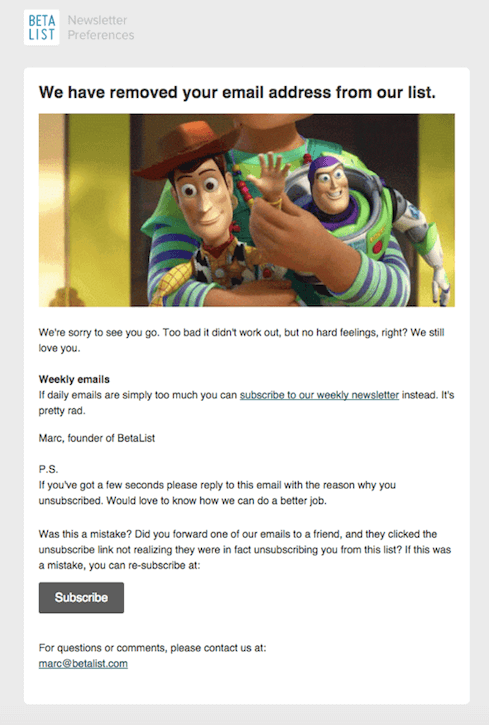 Don’t get us wrong- mass email marketing or sending ‘email blasts’ has not been blacklisted. In the right setting, a bulk message can be helpful. Still, getting personal with email marketing is generally the better way to go. 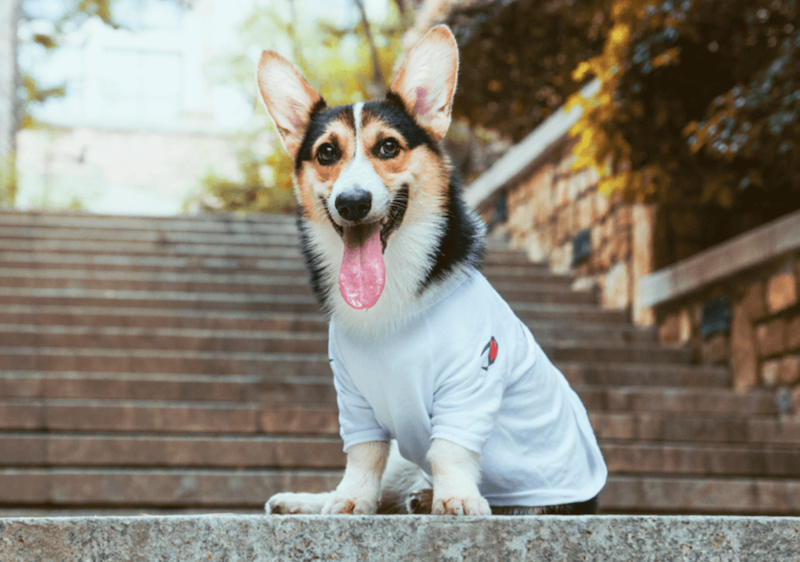 In fact, 73 percent of millennials prefer to connect with brands over email, and they definitely don’t want to be spammed with multiple email blasts. Email recipients, millennial or not, need a personalized, targeted reason for them to open your email. 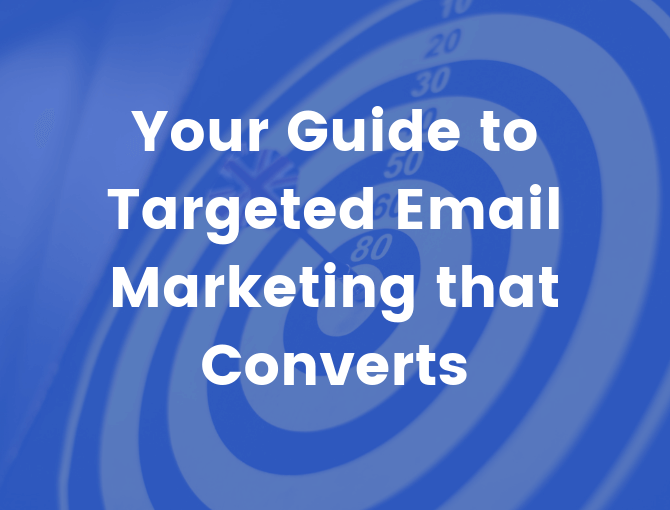 Targeted email marketing is truly what makes the most impact on your conversion rates and subsequent email ROI. To give you a better idea, we’ve laid out some Pros and Cons of each. You can reach all of your customers with the same message at once. Not every customer wants or needs the same message. “Dear Customer” is impersonal and boring. Enough of them and your customers won’t be ‘dear’ anymore. Actually, there really aren’t any cons to being able to speak more personally to your customers. Targeted emails trump mass emails, every time. So, now you know that targeted emails are the better way to go if you want a good email ROI. It’s time to create and test your own target emails. But first, we’re going to share some tips and examples of targeted email marketing. When you’re setting up targeted email automations in ActiveCampaign, the best way to avoid mass email marketing is to segment your contacts. The ActiveCampaign Education Center is chock-full of helpful guides, like this one all about the segmentation process using lists, tags, and custom fields. But, since you’re already here, we’ll give you a brief synopsis. Lists are a broader form of grouping. Sending emails just based on lists would be a bit like emails blasts. That’s why extra features like tags and custom fields are here to target your emails even further. Tags are the first level of targeted segmentation. Tags represent a condition or a set of conditions that often are not permanent; they can easily be applied or removed. Custom fields are the most targeted form of segmentation you can employ. Custom fields represent data that is either permanent or unlikely to change often. Bonus for ActiveCampaign users – There’s no limit to the number of custom fields and tags you can create in our platform. Make as many as you need! The holy trinity of segmentation – lists, tagging, and custom fields – will help you as a marketer improve your targeted marketing efforts and boost the quality of your personalized messaging. Where they came from, such as a form, organic search, live events, social media, etc. Chewy gets your interest back with a reassuring, ‘got-your-back’ tone. One of the most common, behaviorally-targeted emails is a cart abandonment email. They entice the customer enough to come back and complete the purchase process. 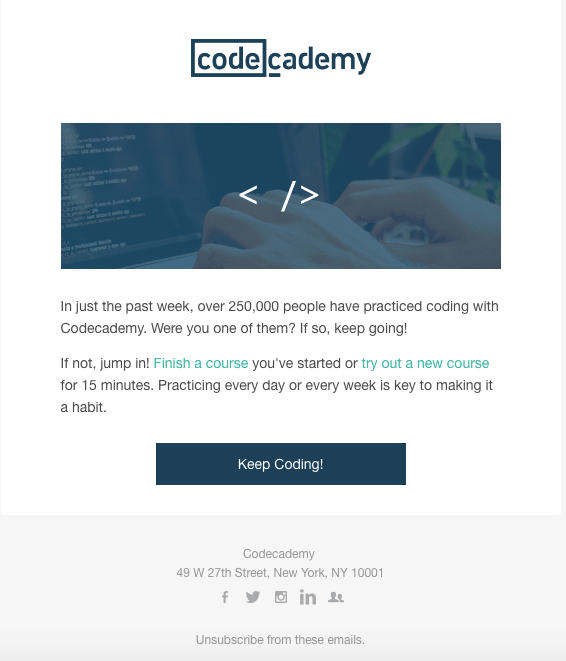 CodeCademy makes it really hard to resist the FOMO with this email. Follow-up emails are great to fully win over customers who have signed up but haven’t followed through. They make customers want to “join the crowd” and keep using the service, just like everyone else. 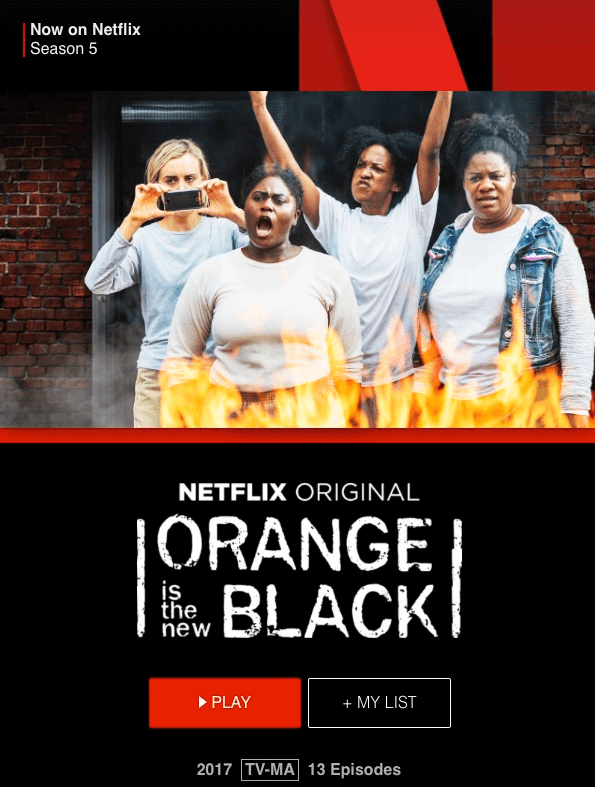 Netflix knows you don’t want to miss the new season of binge-watching your favorite show. Who can keep track of everything in their life? That’s why companies send out notification emails to remind you of things you forgot about, and things you didn’t even know you wanted to be reminded of. Remember how we said earlier that not everyone at your “dinner party” will want the same thing? It’s also hard to predict what everyone will actually want (and this time we’re talking more about emails than a dinner menu). Not every email will work for every person. Some subject lines won’t register, some will. Some copy won’t work, some will. This is why A/B testing exists. A/B testing is literally defined by its name. Two different emails, Email A and Email B, are sent to different groups of people. Some will get Email A and some will get Email B. Typically, changes between the two drafts are minor to see better what is and isn’t working. Depending on metrics like open rate, CTR, and conversions, you’ll be able to see what components of different emails work best for your audiences. Again, not everything that works for other brands will always work for yours. For example, studies show that personalizing email campaigns can increase click-through rates over 14 percent. But, consider your business. Maybe a personal, fun approach will work for your customers. Or maybe your industry is not a place for lighthearted, personal messages. Or maybe the topic of your email isn’t meant to be personal in nature. One-size-fits-all solutions don’t exist here. That’s why you test. A/B testing is a great way to get a 3D view of different campaigns by letting you see multiple angles to one message. Just remember one thing: there’s testing, and then there’s spam. Testing is great, but too many tests (or too many campaigns, for that matter) can potentially open up the spam hole in the floor for your emails to fall through. Luckily, this is avoidable. Did you know that 1 out of 5 emails is filtered as spam or is blocked from inboxes completely? If you read this and immediately felt good about your emails, no doubt whatsoever that they are getting where they need to go, good for you! Now go back and check again. In an age where content is being scrupulously monitored to make sure that people are only seeing what they want to see, you can’t be lax when it comes to the success of your content marketing efforts. If you want your targeted email marketing campaigns to work, they need to be aboveboard. In other words, they need to be spam folder-proof. 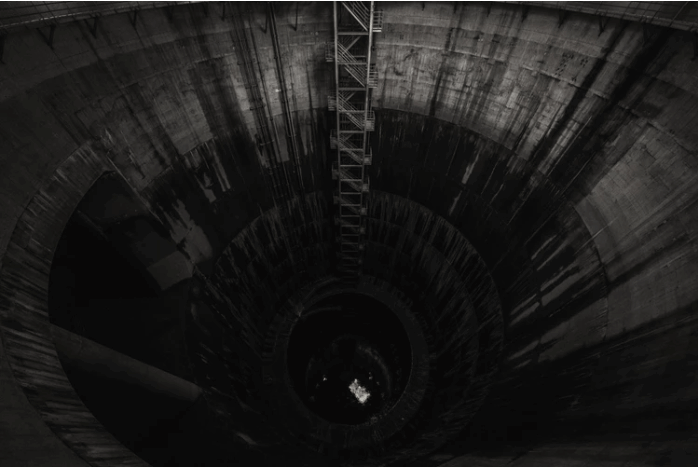 Watch your step around the spam hole. Here are a few reasons why your emails might be going to spam (and how to avoid it in the future). You’re still trying to engage the unengaged or inactive addresses. Have you ever signed up for something to get access to a download, or to do a one-time purchase, and continued getting emails? You know you have. We all have. And have you gotten several emails you didn’t want because of that? Probably. And it’s annoying. So, if you have contacts who have not engaged in a while, or you are sending emails to inactive addresses, try sending a last-chance message to determine whether the customer wants that chance. If not, move on to avoid being marked as spam in the future. Make it a part of your spring cleaning to “clean” your email list of any unnecessary subscribers that could jeopardize your spam-free status. Have you ever gotten a good first impression on a date and then learned upon digging deeper that it wasn’t what you thought it would (or should) be? Then you’ll understand this perfectly. The subject line is the first impression of an email. It’s important for it to go well so that a recipient can move to the next step of an open. But even if a subject line is the best one you’ve ever written, it will only make a negative impact if the email content doesn’t match. Transparency is one of the most valuable things a company can offer its customers. When that leaves, so do they. Don’t build a house of sand on a foundation of straw. We get it. You don’t want your customers to leave for any reason, so providing them an unsubscribe link to do just that seems, well…. Counter-intuitive. Crazy. Like self-inflicted destruction. It may feel like that, but not providing an unsubscribe link is what might actually lead to the destruction of your spam-free status. It’s also a legal requirement. But don’t make opting out harder than it needs to be. Make it easy to find. Don’t create pages of survey questions. Be respectful, not resentful, in your copy. Consumers like choices. They like to be able to choose between products and between brands that work best for them. Not allowing them to do so will send your carefully cultivated campaigns directly to the spam folder (I mean, how else are they going to get rid of them?). It’s ok, it’s not going to destroy you. Offer an easy-to-navigate opt-out process and focus on creating great content, products, and customer service experiences. If they have those, it won’t occur to them to even look for an unsubscribe link. Plus, even if they do try to leave you can always craft the right unsubscribe message to make them think twice. After all that work, what’s the benefit to you? Creating perfect campaigns, one after another. 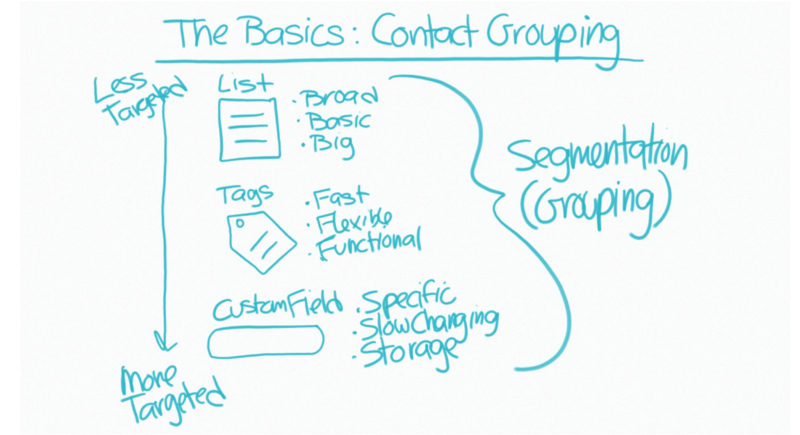 Creating perfect contact lists and segmenting them properly. Maintaining those contacts. Taking care to avoid the dreaded spam folder. Targeted email marketing sure is a lot of work. So… what’s the benefit to you? We think you meant to say benefitS. Plural. Because there are a lot. Proper targeting leads to more opens. More opens can lead to more clicks. More clicks can lead to more conversions. More conversions lead to a very happy email ROI. He heard about your ROI. And ‘round and ‘round we go! But if you want a snappier way to think about it, just remember the 5 Rs of Targeted Email Marketing (all of the above go into them, anyway). Relevance: A relevant, targeted message to the right person makes them happy and makes you memorable. Win-win. Response: The more relevant emails they get, the more positive responses you’ll get (huzzah for increased open rates!). Revenue: Increased open rates + increased click-through rates + increased conversion rates = increased revenue. ‘Nuff said. Relationship: Direct, personal communication with your customers is how you build relationships that have solid foundations for returning customers to stand on. They get a brand they like, you get a customer you want. More wins. Retention: The more they like your messaging, the more likely they are to stick around. People want to feel heard and understood by the brands they trust. Retention rates will soar with the right targeted messaging. Targeted email marketing – it’s the best way to email for you and for your customers.